iseetheworld has no other items for sale. Do more of the things you want to in less time and enhance your digital life with the multi-core performance and energy efficiency of AMD Athlon II processor-based desktop systems. Combined with superior ATI Radeon HD graphics technology, systems based on the AMD Athlon II processor deliver a vivid visual experience, superior multi-tasking, and exceptional digital media performance with next-generation energy efficiency. 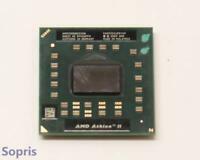 This generation of chips by AMD were the best chips made by the company...until the A series CPUs and the new Ryzen chips. 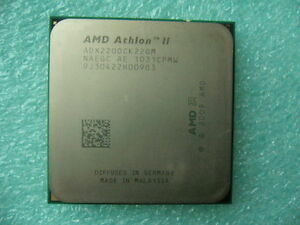 The Athlon 2 chips were reliable (bullet proof), low heat, low wattage chips that offered the user a "workhorse" machine at a very affordable price. The chip is still worth a close look if the end game is to surf the net, use as an HTPC, or just streaming music. I am very pleased with my purchase. I have an extremely reliable pc build that does the job for very little money! Woohooo! 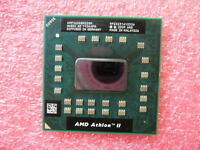 Good basic processor at a low price. 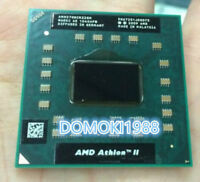 At 2.8 GHz its faster than the cpu in my current laptop, and as its a dual core its fairly powerful. I sold the Phenom II X4 cpu I had in my AM3+ system, and while I was hemming and hawing over whether to buy an FX-6300 or an FX-8320e, this served me well. I think I re-sold this for more than I paid for it, and still the average price for these is very affordable.